Demand for cloud migration services is strong among small channel firms, which may not have the wherewithal to help clients on their own. Consequently, they are frequently turning to software and IT services companies for help providing these services. Companies like PlumChoice, NetEnrich and BitTitan are enabling partners to have a "one-stop place to increase their breadth of offerings without the solutions providers and service providers having to figure it out on their own," said Heather Margolis, CEO of Channel Maven Consulting. With the increasing popularity of moving applications and workloads to the cloud, channel firms' customers need to make that migration sooner than later, she said. If their trusted partners don't have the necessary first-hand knowledge to help them, those partners need to bring the tools and services into their practices and resell them, she said. "Working with PlumChoice or BitTitan enables those providers to provide the [cloud] migration services without them having to go through all the training or put together a strategy themselves. They can work with a company that's going to support them in doing that," Margolis said. On the plus side, these cloud companies facilitate the ability for partners to shift their businesses without the need for additional sales people, office staff and technicians, she observed. The potential negative she sees is, "As with any relationship, you're giving up a little something if you're not doing it on your own. But at the end of the day, hopefully, it means more business." BitTitan is seeing big demand for its data migration process management tool to help channel providers be more efficient and create, execute and report on their standard operating procedures, said CEO and founder Geeman Yip. The tool also offers automation capabilities for data migration, he said. As with any relationship, you're giving up a little something if you're not doing it on your own. But at the end of the day, hopefully, it means more business. "We're moving into the world of [software as a service] SaaS, and people are no longer deploying infrastructure and servers" in house, Yip said. As a result, service providers need to deliver deep expertise in moving their clients to the cloud. Typically, a managed services provider (MSP) will contact BitTitan for help -- for example, moving an SMB customer from Google to Office 365 -- and purchase a software license. The MSP will white label the tool and handle the migration and onboarding from one system to another for the SMB, Yip said. Data migration is a tool and providers need to understand what they are plugging it into, he added. BitTitan's platform provides guidance to MSPs "in a fully automated and prescriptive way to prep a customer's environment. Data migration is only as successful as the preparation you do," he said. The BitTitan platform provides a scalable, repeatable process, he said. When issues arise, it will also do an automatic, preemptive diagnosis and alert the MSP without the SMB finding out. BitTitan does not sell directly; all its business is done through service providers. Hybrid cloud is expected to grow into a $91.74 billion market by 2021. "Cloud is the business we're seeing incrementally [having] the fastest growth trajectory," he said. He noted PlumChoice works mainly with large partners, but also works through distribution channels to target local and regional value-added resellers, MSPs and systems integrators looking to get into a recurring revenue stream business. 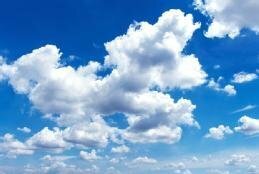 Cloud migration services are not a "massive part" of the channel companies' business, he said. The majority of their business is supporting systems that have already been moved. "We're mostly seeing traction wrapped around infrastructure as a service," Hauser said -- specifically, when a customer has a server or on-premises appliance it wants moved to a hybrid cloud. PlumChoice will work with the customer's IT administrators via the customer's channel partner, walking the partner through moving that first workload off premises in a white-label services scenario. "So if you want Office 365 for your organization, I'll migrate that for you. But after that, who will support it? We do the support" as a recurring revenue stream, he explained. "We're using migration as the tip of the spear to drive ultimately more and more services, and we're helping other channel partners do that as well." All transactions are done directly between the customer and the channel partner that contracts with PlumChoice, Hauser added. NetEnrich provides cloud assessment and cloud migration services that partners can white label and sell to their customers, said Javed Sikander, CTO of cloud services at NetEnrich. For partners that want to help their clients evaluate their cloud options, "we provide Azure and AWS assessment services where we analyze the on-premises workloads and applications and [provide] a detailed plan to migrate to the cloud," he said. White-labeling cloud services is not a core part of NetEnrich's business. The company mainly offers infrastructure managed services sold through channel partners via distributors, Sikander said. "Cloud migration and assessment and cloud managed services is a business that's growing." How has your company dealt with your clients' cloud migration needs?